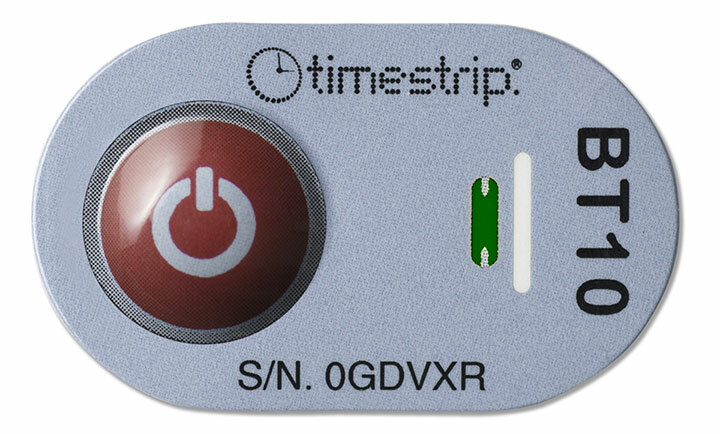 Save Time, an easy to use temperature indicator. Save Blood, auditable proof that blood bags have been stored/transported correctly prevents waste. Save Money, a low cost temperature breach indicator with a quick ROI. The following overview is a simple interpretation key designed for speed and simplicity. Indication of arming window will remain yellow and Breach window will remain white. Indication of arming window will be green and Breach window will remain white. Indication of arming window will be green and Breach window will turn blue. The Breach window is irreversible and cannot be reset or changed. Blood Temp technology is based on the principle that a formulation will melt from solid to liquid form when an ascending temperature threshold is breached. When in liquid form, the mixture will move laterally through a porous membrane and become visible through a viewing window. 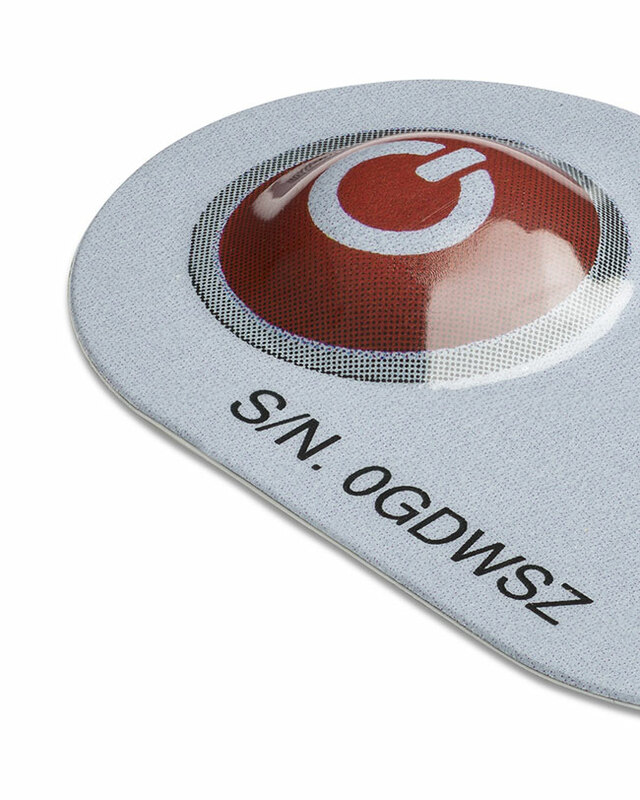 The indicators are inert prior to activation, so they do not need special storage or shipping conditions. They require no special equipment to be activated. Simple finger pressure from squeezing the activation blister is all it takes to begin temperature breech monitoring. We currently offer two specially calibrated indicators especially relevant for transportation and storage. Blood bags can be left for too long at unsafe temperatures when moving RBCs from storage to the operating table. 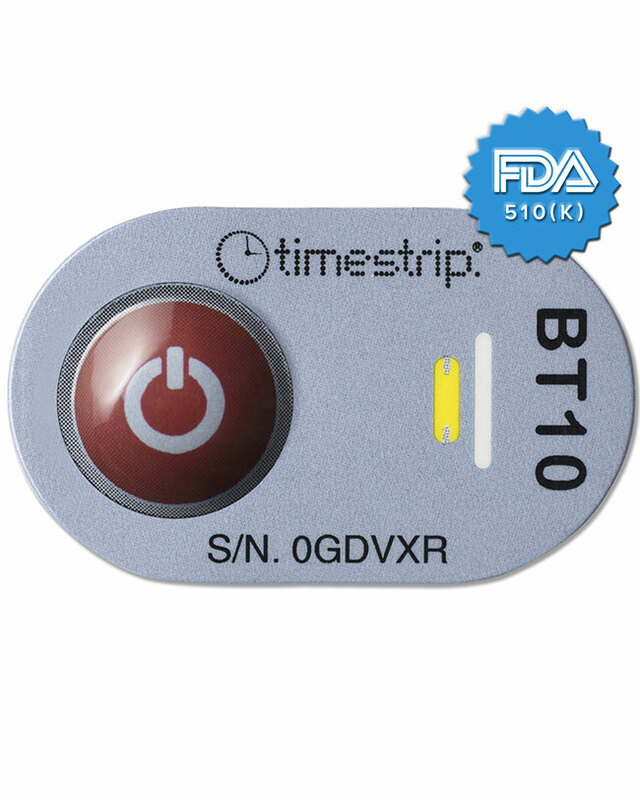 Instead of solely relying on a time rule, Blood Temp 10 visually alerts that a temperature breach occurred and the blood can not be used or returned to storage. 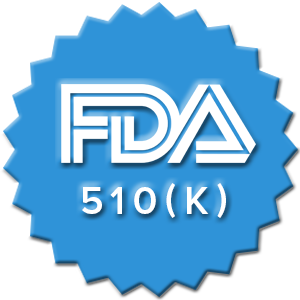 Blood Temp 10 is a unique FDA 510(k) medical device that does not require preconditioning and is CE approved. Squeeze, Peel, Stick – That’s it! 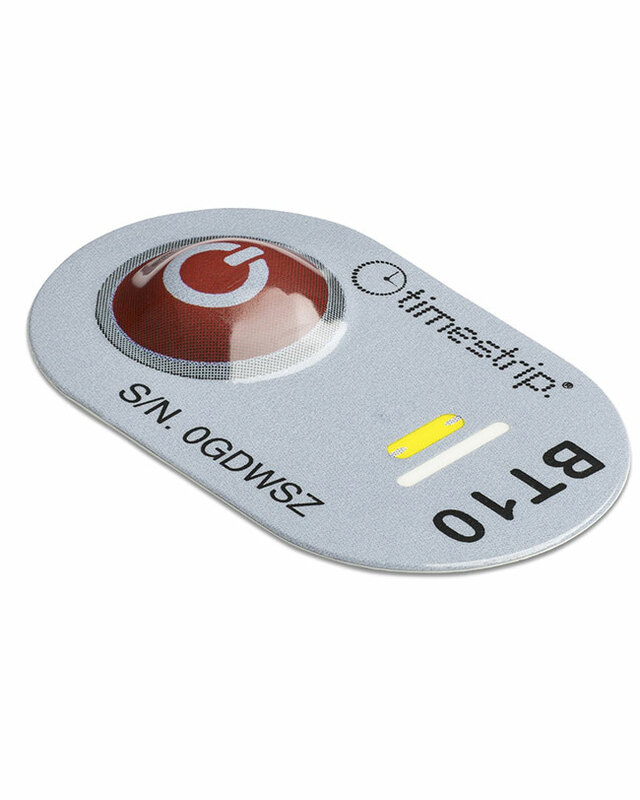 Our Blood Temp 6 temperature breach indicator gives you a visual indication that your Red Blood Cells (RBCs) blood bags have been exposed to unsafe temperatures during storage. With a 6°C temperature threshold, blood banks can use the serialised indicators to reassure workers blood was kept at safe limits or auditable proof a temperature breach. 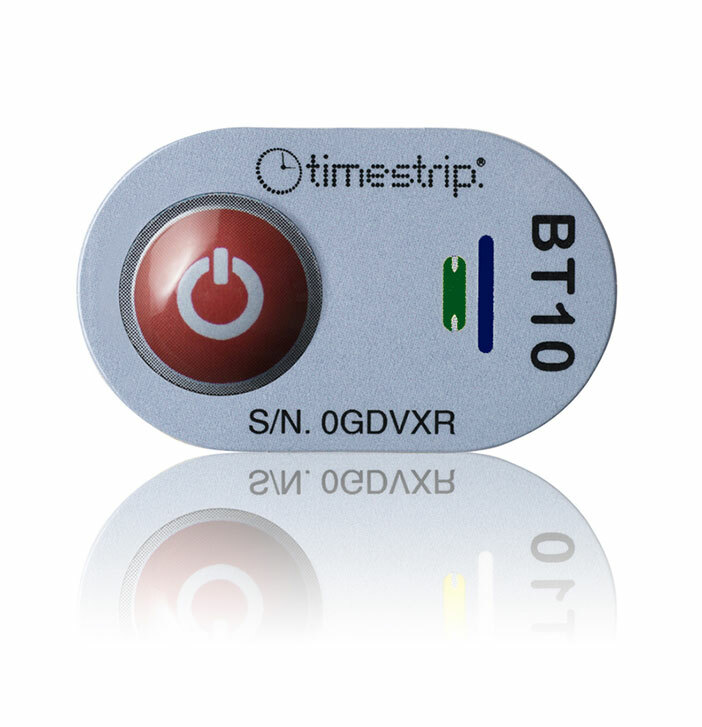 Maintain quality control in blood transportation and storage using the Blood Temp indicators. 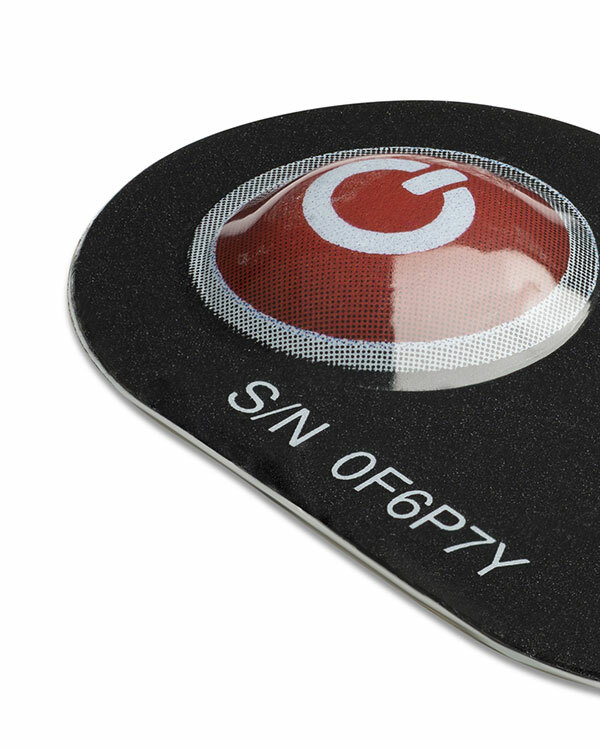 The unique design offers real-time data to make quick, safe decisions to reduce the loss rate of blood products. These products are manufactured under the controls established by a IQC approved quality management system that conforms with ISO 13485:2003 under certificate number: I9934. Reducing your loss rate by 9.9% pays for the total investment. A conservative 19.8% reduction doubles your return. How does Blood Temp compare? There are a lot of factors to consider when choosing a temperature indicator for blood products. We offer a high quality indicator with a communicative design to show that a blood bag has been stored or transported within relevant regulatory standards on temperature exposure. Relying solely on a “30 Minute Rule” or other time factor leaves too much guesswork. Infrared and Probe blood bag thermometers are bulky and cost prohibitive. Other temperature indicators have difficult to interpret color changes and indicator pre-conditioning requirements. A manual activation button on the top – the ‘On’ window turns from yellow to green to confirm it is armed. A blue colour appears in the breach window if a breach of the threshold temperature has occurred. Any blue, whether full or partial, indicates a breach. Produced under ISO9001:2008 and ISO13458:2003. 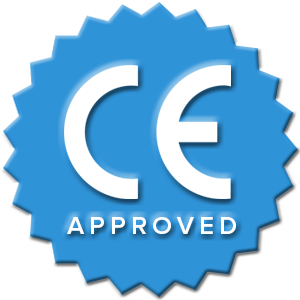 CE Approved. What is a Blood Temp 10? Do I need to pre-condition a Blood Temp 10? Absolutely not! 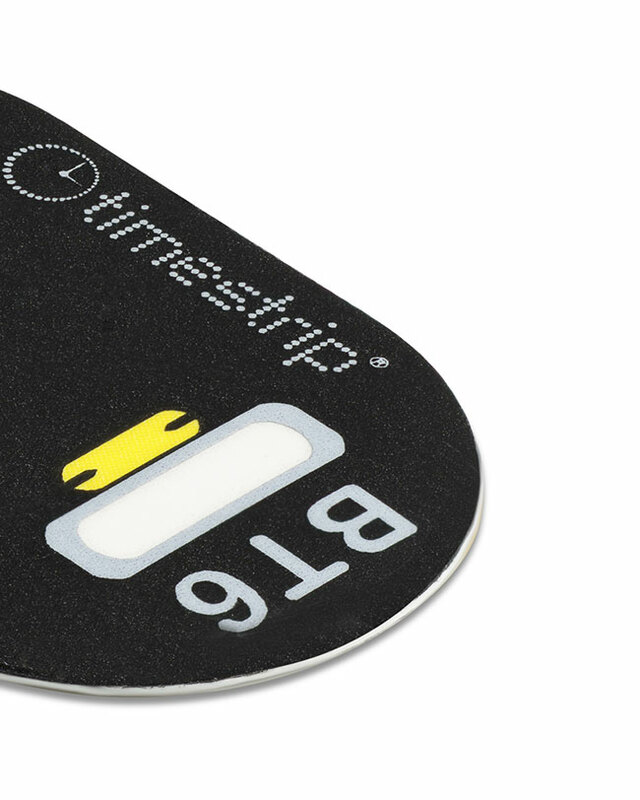 Unlike some other threshold temperature products, Blood Temp 10 do not require pre-conditioning. Just activate Blood Temp 10 at any temperature above 10°C/50°F as you cannot squeeze the dye out of the blister if it is in solid form. You then simply need to adhere the Timestrip onto a pre-chilled blood bag, whose temperature will immediately solidify the dye and track any 10 degree temperature breaches. Why choose Blood Temp 10 over other indicators? Why does Timestrip give out 1-2 free products with every pack of 100? Because we like our customers! You can use these free products for testing, training, validation, or just to save money. In the unlikely case any got damaged along the way or someone just wanted to try one, there is no need to get in touch, although we’re always happy to hear from our customers. Personally, we think that all companies should give stuff away for free! Can Blood Temp be used in any orientation? Why does the activation window turn dark green, but returns to a light green in the fridge? Do Blood Temp indicators have special storage requirements? 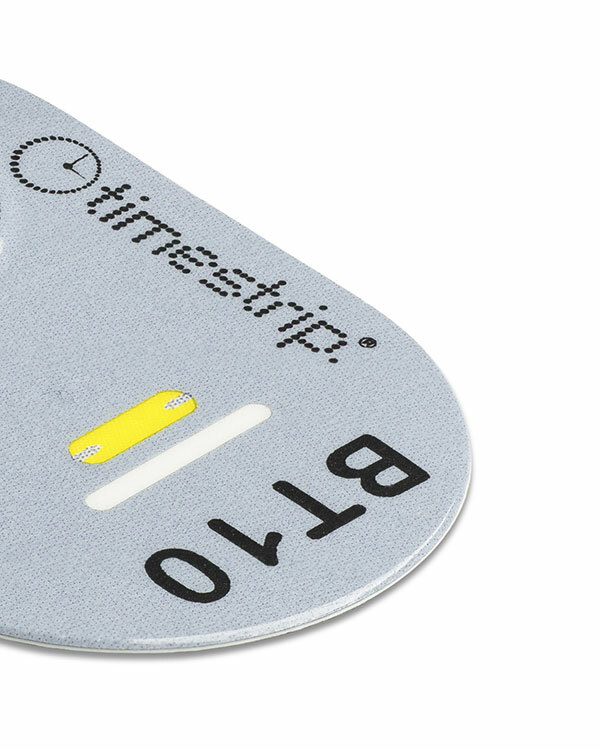 Do Blood Temp indicators have a shelf life? Why use Blood Temp 10 when we have temperature controlled fridges? Blood Temp 10 indicators allow you to monitor the temperature of blood in a blood bag when it leaves the blood bank to go to a ward, operating room or other location. 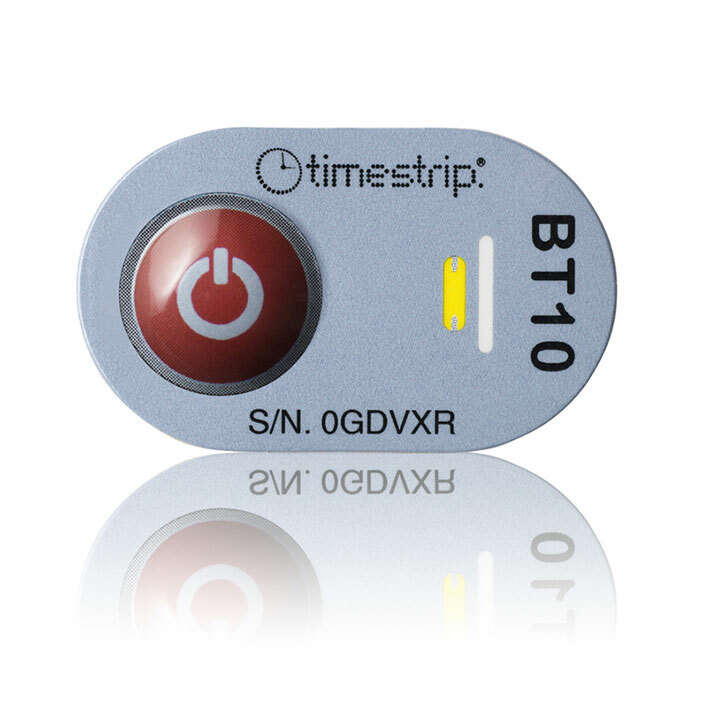 Blood Temp 10 indicators require no power and can be read easily and instantly by the end user. Indication is irreversible and each indicator has a unique serial number to ensure traceability. How does Blood Temp 10 work? A blue dye housed in a blister is held adjacent to a micro-porous membrane. 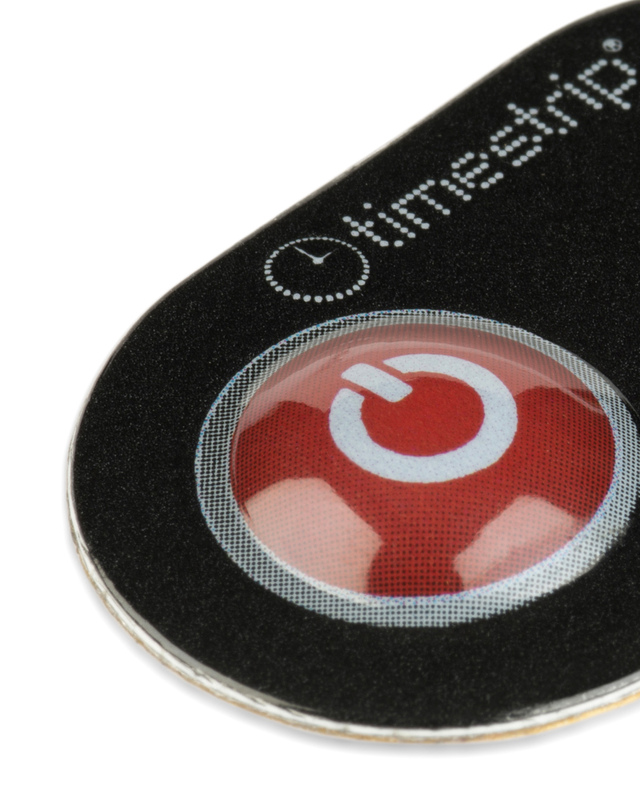 Upon squeezing the activation button the dye comes out of the blister and into contact with the membrane. The temperature of the chilled blood bag solidifies the liquid, and thus unable to move through the membrane. If the temperature rises to or above the threshold temperature of 10°C/50°F, the dye changes to liquid form, moves through the membrane and indicates a breach when blue dye shows up in the indication window. What if one of the indicators in the box is showing an blue indication window before I’ve activated it? What are your tips for prepping multiple Blood Temp 6 indicators at once? We find that placing on a very cold coolpack works really well. The colder the better, ideally having been in a freezer. Squeeze the Blood Temp Indicators and then place on the coolpack , leaving the adhesive liner on the Blood Temp Indicator. The activated product can stay on the coolpack for a very long time. We recommended to have this prep area close to the blood-bag fridge and near to the time of use. Then, when the blood bag or blood bags have been prepared for the Blood Temp indicator, simply remove its adhesive liner and adhere to the blood-bag. Extra tip: Blood bags can warm up surprisingly quickly when placed on an counter in a room temperature environment. To keep them cool longer, while preparing them, lay them on a coolpack as well. 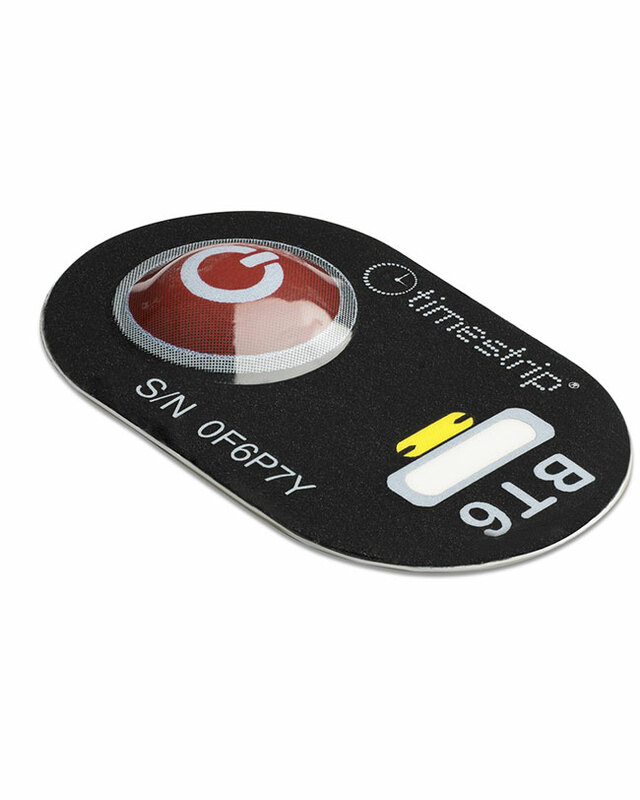 Timestrip is a time and temperature technology company that manufactures high-tech and low cost visual indicators used around the world where time and temperature need to be controlled. 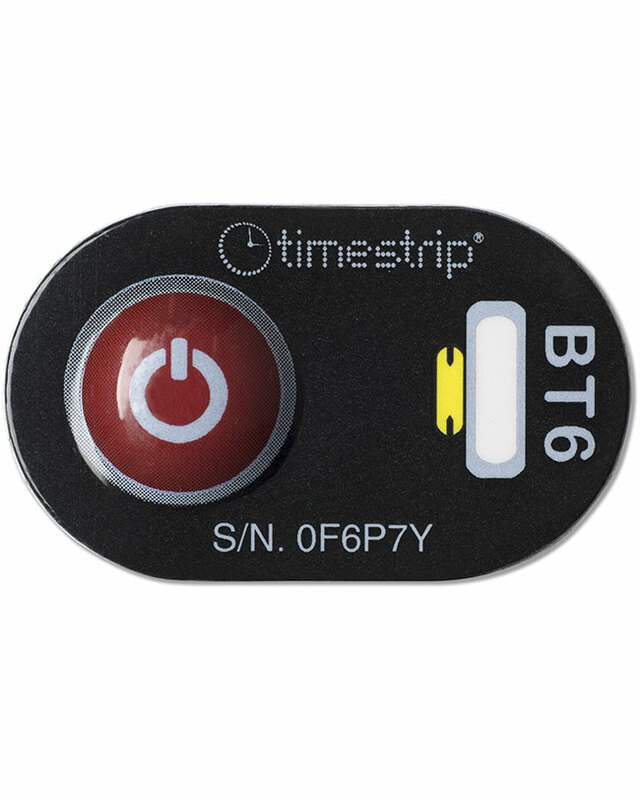 Timestrip Time indicators monitor time from activation from 5 minutes to 2 years. 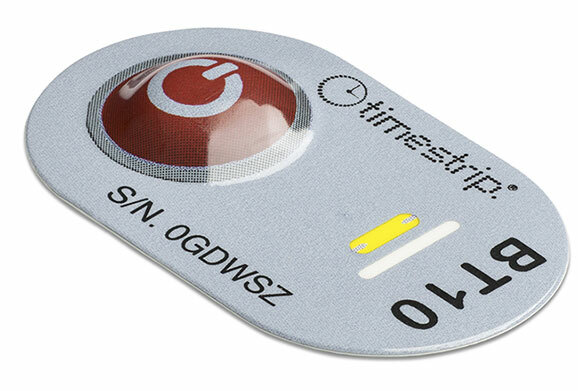 The Timestrip® PLUS range of indicators monitors elapsed time at a specified temperature. The full range spans -20°C to +38°C (-4°F to 100°F). Four specialist temperature indicators are available: Seafood, Food, Blood Temp, and Duo (for vaccine monitoring).